You have a story to tell, and over months, or even years, you've created a whole world to deliver it to your readers. As an opera singer and actor for the past fifteen years, I understand that this world must now be delivered to listeners clearly, believably, and free from distractions. In addition to smooth delivery in American English, I am also proficient in BBC English and have been trained in Italian, Spanish, French, German, Russian, Latin, and Dutch pronunciation. I also have experience with Newfoundland, Southern (American), Indian, and Swedish accents, and I’m always game to learn more! On the technical end of things, I have worked extensively with Audacity and have a modern home studio with a large diaphragm condenser microphone that can deliver high quality audio. Check me out here or on ACX, and please feel free to drop me a line on the contact page. Vanitha is the world's greatest parahuman hacker and can physically enter computer systems to control them from the inside. 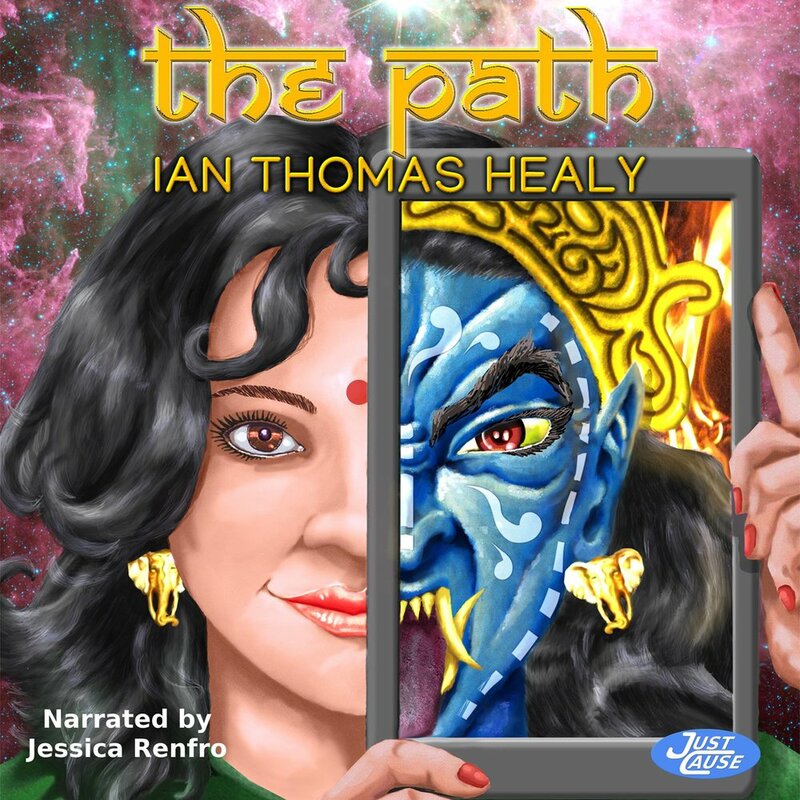 To relax, she's created a Hindu-themed multiplayer online role-playing game called The Path. When a mystery presents itself, she goes to investigate the strange new Malevolence. It kills her. She awakens inside the game as a new character, unable to use her parahuman powers to return to the real world. Nor can she access any of her administrative privileges. She can't even speak her own name. With no other options, she embarks upon a desperate quest to locate her body, a corpse run that may present her only chance to escape. All the while, the Malevolence is spreading like a cancer, rewriting and corrupting the game. It's a speedrun where failure will be lethal: get her body and her powers back before the Malevolence destroys the game and everything inside it - including her.